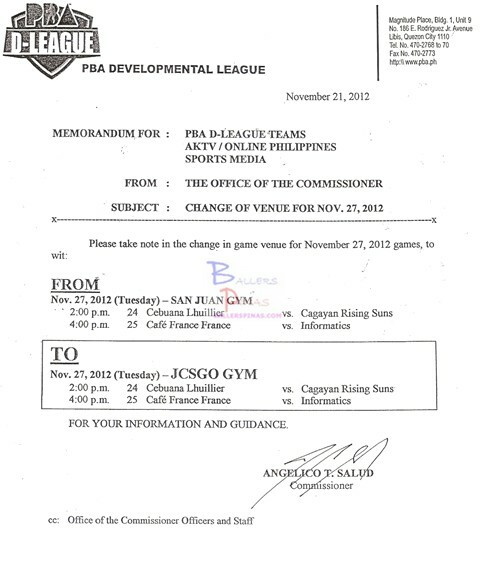 The PBA D-League decided to change the venue of their basketball games scheduled on November 27. This is the 2nd venue change that they’ve done throughout the course of the week. The reason behind the change of venue remains to be confidential.